Mr Assange was brought before Westminster Magistrates’ Court this afternoon. He made a thumbs up gesture to the press gallery as he entered the court and could be seen carrying a book. 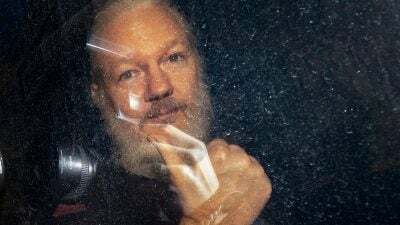 In a tweet, Mr Assange’s lawyer Jennifer Robinson also said he had been “arrested not just for breach of bail conditions but also in relation to a US extradition request”.